condensation buildup on adjacent surfaces or by coming into balance with prevailing relative humidity. Regardless of the means, when insulation moisture content reaches any level, performance drops. Until the insulation temperature reaches approximately 314F, moisture cannot be driven out. In essence, at temperatures above 212F up to 314F the net result is boiling water against the insulated surface. That's one of the basic causes of corrosion under insulation. 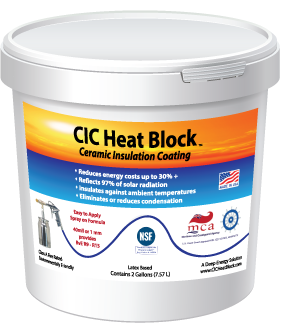 A combination of primer or surface protection systems and thin insulation coating eliminates CUI by keeping moisture off and away from metal surfaces. Preventing contact with moisture is the best way to prevent corrosion. Using insulation that can't absorb moisture is another. Unfortunately, fiberglass, rock wool, calcium silicate and other traditional insulations all absorb moisture and promote corrosion. By covering surfaces, they also prevent visual inspection of surfaces. 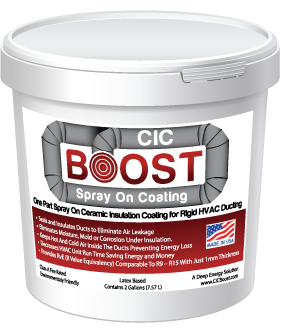 Insulation coating protects surfaces from corrosion while providing insulation value. Water vapor coming into contact with colder surfaces changes from a gas to liquid state. The net result may be direct contact with insulation materials and water absorption leading to reduced thermal performance and eventual primer failure and corrosion. Other issues are basic coating failure and surface corrosion, contamination from dripping on food processing lines and equipment, slipping hazards on walkways, etc. 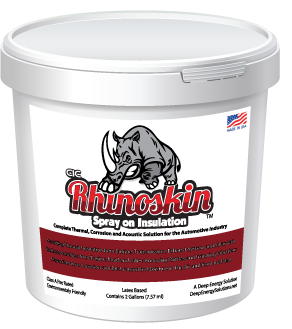 Insulation coating forms an impermeable barrier on surfaces, preventing moisture formation and contact while insulating from heat or cold.